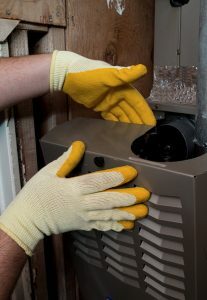 Is Your Heater Starting and Stopping too Frequently? If you use a forced air heating system, then your heater may actually be short cycling because the air filter in your system is too dirty. When the filter is not cleaned or changed regularly enough, it can become so clogged that it restricts airflow through the system. That can cause the system to overheat, and it will cycle down in an effort to protect itself from damages caused by that short cycling. It sounds strange, but your heater may actually be too big for your home. Now, a heater that is too small for your property is obviously no good. However, a heater that is too big is actually no better. Temperatures can be adjusted too quickly, and that can cause the system to short cycle. You could also have a refrigerant leak if you use a heat pump. Why is short cycling such a big deal? Well, in addition to the issues that could cause system failure, it actually winds up costing you more money to run your system. It requires more energy to start a heater up than to keep the heater running. If your heater has to keep starting up over and over again, then you are actually going to wind up paying more for a lesser heating performance.